One of the AVA’s busy volunteers is also one of Oscoda’s busiest. 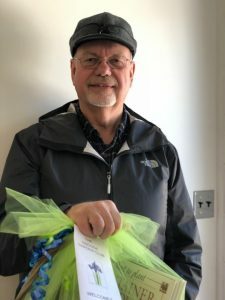 Arnie LaRiche was a winner at the Oscoda Volunteer Appreciation basket raffle on Friday, April 20. How perfect as he is nearly a 24/7 Volunteer!